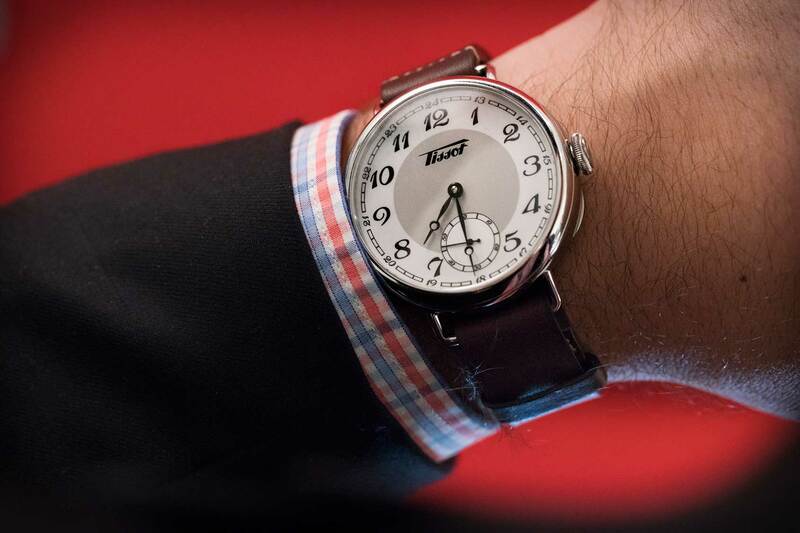 Tissot has a lengthy history to lean on for their heritage collection, and each year they release one or two key pieces – that are invariably hits in the Time+Tide office. What we really love about these pieces is that they’re so unpredictable – Tissot seem comfortable jumping from classic mid-century pieces to watches inspired by the golden age of motorsports. 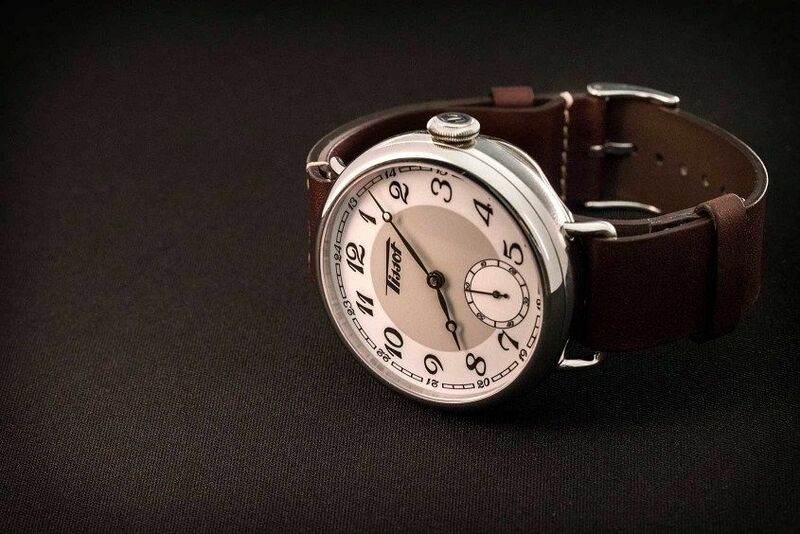 Basel 2016 saw the brand delve further into their back catalogue than ever before, with the pocket-watch inspired Tissot Heritage 1936. We looked at the big 45mm manually wound version, though there’s also a smaller version that’s billed as a women’s piece, but would be perfectly suitable for men too. Oh, and the price is right at 995 CHF (inc VAT). 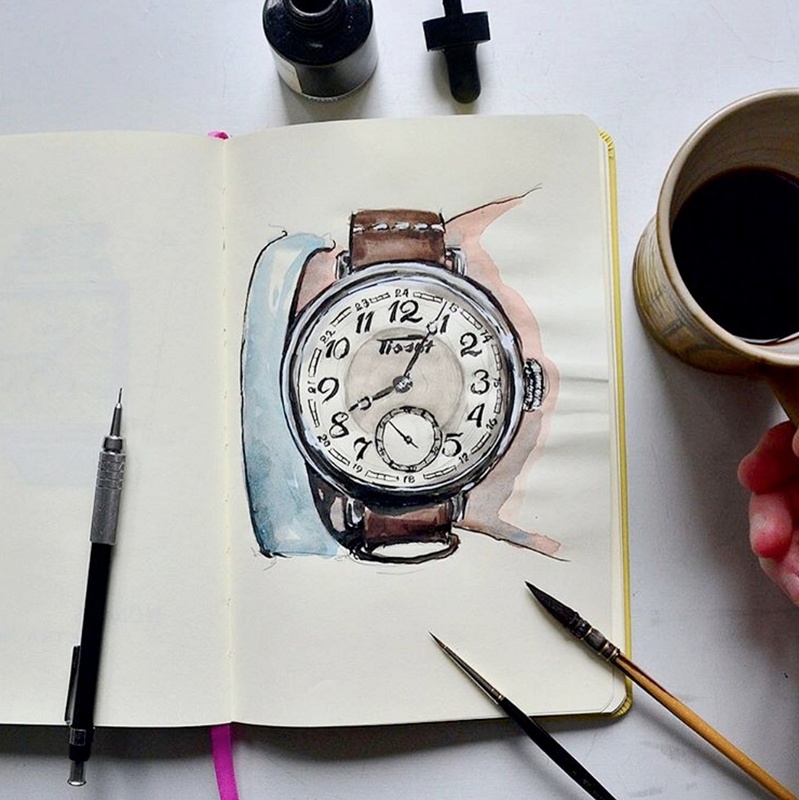 Our Instagram shot of the new Tissot Heritage 1936 inspired our master artist friend Sunflowerman to sketch a watercolour portrait. What a beauty!